CHAMPAIGN, Ill. — A new study by a University of Illinois expert in operational risk analysis and financial services operations looks at how a bank’s error rate and the resultant potential losses are affected by employee workload. 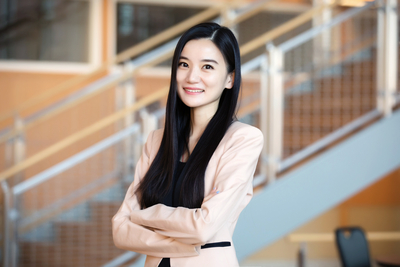 The paper, co-written by Yuqian Xu, a professor of business administration at the Gies College of Business, analyzes the causes of operational risk in the banking industry and establishes a causal link between workload and the error rate of operational risk events. Xu and co-authors Serguei Netessine of the University of Pennsylvania and Tom Fangyun Tan of Southern Methodist University found that bank employees are more likely to take operational risks under both low-workload and high-workload scenarios. Under a low-workload scenario, bank employees tended to take performance-enhancing risks. By contrast, in a high-workload scenario, employees tended to make more errors due to multitasking. But when bank employees are busy, “they’re too occupied to think about those types of risky behaviors,” Xu said. And when their workload gets too cumbersome, “they then have too many balls in the air, which makes it easier for them to make mistakes,” she said. The researchers used a unique operational risk event data set from a commercial bank in China that contained more than 1,400 operational risk events over a two-year period. They quantified the causal impact of workload on operational risk losses and compared the bank’s current staffing policy with their proposed optimal staffing policy. They found that the optimal staffing policy would reduce the current number of bank employees by 7.56 percent, which would, in turn, decrease the number of risk events by 4.51 percent and cut total losses by 4.58 percent while increasing profits by 1.24 percent, according to the paper. More specifically, Xu and her co-authors found that workload has a U-shaped impact on operational risk frequency. The inverted-U shape curve on profit has been found in other industries – health care, restaurants and retail, Xu said. But this is the first paper that finds the pattern in the banking industry, and the first to quantify the causal impact of workload on operational risk losses. “The trough in the curve is the moderate level of work that allows employees to give banks their best performance,” she said. The findings are important because operational risk is now among the three most significant types of risks in the financial services industry, and its management is mandated by the Basel II regulation, which makes recommendations and sets guidelines regarding minimum capital requirements for risk management, Xu said. “While previous studies tended to propose models to quantify operational risk losses, our paper is the first empirical work to analyze the causes of operational risk from an operations management perspective in the banking industry,” she said. The paper “When is the root of all evil not money? The impact of load on operational risk at a commercial bank” is available online.